Over the course of the previous year, I’ve seen a very interesting trend take place within the business world: the decentralization of IT and the vast distribution of resources. Where we once looked to public cloud as an all-in-one option to create a consumption model, we now have new types of edge, multi-cloud, and hybrid cloud options. In fact, many IT leaders are actively looking at ways to further push applications, services, and powerful user experiences close to where they need to be. This is why we’ve seen the greater emergence of edge and hybrid cloud solutions. Gartner recently noted that although the agility of cloud computing is great, it’s simply not enough to cope with the vast distribution of user and new access requirements. As the Gartner blog points out, massive centralization, economies of scale, self-service and full automation get us most of the way there – but it doesn’t overcome physics, the weight of data, or the speed of light. Latency is extremely important in a world where “slow is the new down.” With new digital solutions, we may no longer rely on centralized cloud components, often located many miles away. If you’re reading between the lines, this is good news for colocation, data center providers, and hybrid cloud partners. This digital business journey has become a reality for many organizations. Although public cloud continues to be a great option, organizations are looking for even more flexibility as they deliver rich experiences to their users. I’m seeing IT being delivered to more rural locations, impacting a variety of verticals like healthcare, education, manufacturing, and pharmaceuticals. 1. Organizations still want to “get out of the data center business.” The new idea of hybrid compute splits resources between colocations, cloud instances, and some on premises resources. It’s that on premises part that’s shrinking a bit. Cloud computing offered organizations a great way to lessen their own data center footprint. However, the challenge became the over-centralization of resources within the cloud. 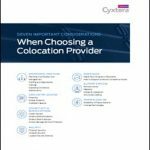 Now, colocation partners are offering better options with more flexibility in terms of where your resources reside and how they’re being delivered. So, if you’re looking to make your own data center footprint smaller, look to colocation and hybrid cloud solutions to make it happen. This helps you achieve a smaller CAPEX expenditure while leveraging the ‘cloud’ consumption model. 2. Organizations still want to leverage public cloud services. It’s important to note that public cloud is still a very powerful option. However, it’s not the only option out there. Your ability to interconnect is much more versatile than before. For example, AWS Direct Connect gives you the ability to integrate with a variety of APN Technology and Consulting Partners. And, there are lots of great ones to select based on your requirements and your region. Examples include CoreSite, Equinix, Lightower, CenturyLink, CyrusOne, Datapipe, XO, Level 3, and many others. This is similar to Azure ExpressRoute where you can work with a variety of partners including Aryaka, CenturyLink, CoreSite, Equinix, Level 3, NTT Communications, Telefonica, Telus, Verizon, and several others. You can even get specific US Government Cloud partners through solutions from AT&T NetBond, Equinix, Megaport, and others. On that note, solutions like those from Megaport, for example allow you to instantly create a virtual router for on-demand, private, Layer 3 connectivity to leading service providers between key global routing zones. This is a great option to create dedicated multicloud connectivity to the top Cloud Service Providers including Google Cloud Platform, Orcal Cloud, AWS, Azure, and others. You have great options to work with a variety of connectivity partners who can align specifically with your requirements. Because of these two factors, the approach to adopting a new kind of distributed model is now more cautious and calculated. However, data center providers and hybrid cloud partners are very willing to go on the cloud journey alongside you. The key difference is a much more granular understanding of where your resources will sit and how you’ll deliver them. I can’t stress this part enough: you don’t have to go in this journey alone. Working with a good partner can help you understand your business use-case and build out your requirements for the near future. There is a lot of flexibility to be provided from a good partner. 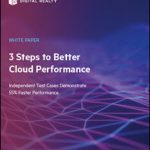 Most of all, you continue to control the experience and can even leverage a real cloud consumption model, without having all of your gear and workloads in a public cloud. However, it’s important to remember that not every data center partner is built the same. Some have limitations around locations, while others might not meet your requirements for the workloads you’re trying to deliver. However, many of these partners can offer a lot of flexibility for a new type of cloud computing option. It doesn’t matter how large or small you are – working with a colocation or hybrid cloud solution can give you great benefits. Organizations of all sizes are looking at ways to create competitive advantages and need to leverage good partners to get there. As a major part of the digital transformation journey, ensuring that you go down the right path is important. Sizing and capacity planning are a must. Don’t get sold on price and features alone. Make sure your partner is capable of scaling and meeting your demands. 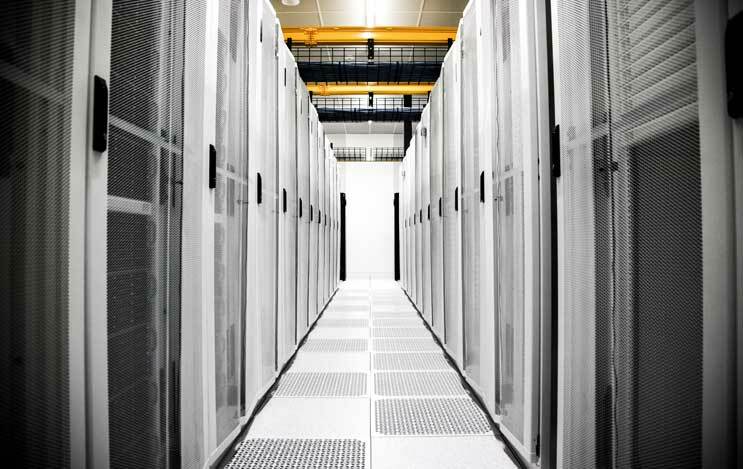 Data center and colocation services differ. There are some partners which are great for hyperscale, while others offer more interconnect options. Again, depending on your use-case, select the services and location options which fit your business model. Start your planning by understanding end-user requirements. This is one of the most important pieces of advice I can give. Start by understanding where you users are, how they connect, and what they leverage to be productive. From there, you can design the services which will allow your users to be the most productive while still being truly mobile. With more distribution, come new management challenges. With edge and hybrid services, we’re seeing smaller data center locations and branch sites. However, don’t lose visibility of your data center and colocation services. Sometimes you’ll need to invest in DCIM or DCM solutions which give you deeper insight into cloud performance, colocation services, and how users are interacting with the overall environment. Even if your partner is giving you lots of options, hybrid solutions may require additional investment in proper management. However you approach your infrastructure decisions, know that your ability to scale and distribute IT is much more powerful than ever before. The great news here is that we’ll be seeing an even greater resurgence in the data center and colocation market. This means more options for users, organizations, and those that want to leverage the complete power of the cloud. Good article. When Bill says, “Latency is extremely important in a world where “slow is the new down,” he is right on the money. Well said on all points. A properly engineered hybrid solution can improve efficiency on all levels, minimize risks and reduce cost. Great article Bill.